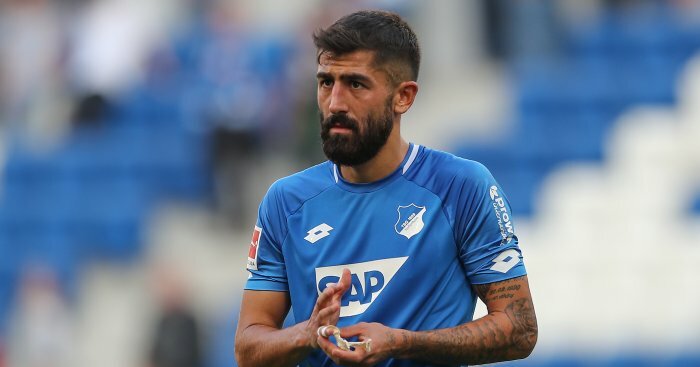 Jurgen Klopp is reportedly ready to raid the Bundesliga again as he looks to bring in Hoffenheim midfielder Kerem Demirbay in January. The Germany international is said to be a leading target for Klopp and may be Liverpool’s only January window signing after the club’s mega spend over the summer, as reported in the Sunday Express. The 25-year-old was a Turkey Under-21 international before switching his international allegiance to the country of his birth in 2017, and he is a player that Klopp knows well as he came through the youth ranks at Borussia Dortmund. Demirbay has developed into an all-round central midfielder but has become renowned for his powerhouse performances in the Bundesliga. Any move to Anfield could also be made easier by the fact that the former Hamburg star has the same management company as Liverpool stars Sadio Mane and Naby Keita. Demirbay’s potential arrival could signal the end of Fabinho’s short time on Merseyside, with the latest reports suggesting that Juventus want the Brazilian. Love Liverpool? Get the latest news and features on the Reds on your Facebook timeline by liking our dedicated page.